Ah, the glory days. 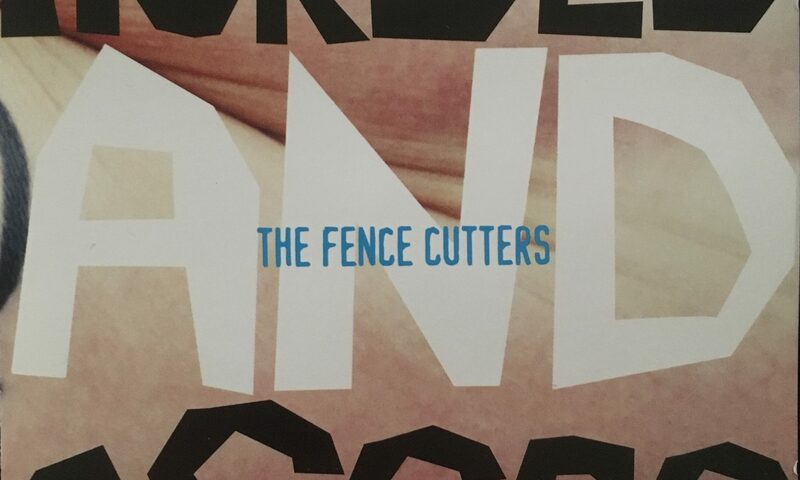 The Fence Cutters were pretty much a rock and roll band by this point and Horses and Asses is an excellent document proving that case. We took over Tim and Shelly’s house and converted it into a studio, Jeremiah Ball was on board, as usual, we recorded oh so many versions of every song (which I don’t recommend, btw), and then we mixed it over at Barbara Kay’s studio. I’ve gone through the various permutations of the band elsewhere, and at this point, the band was Tim, Shelly and myself joined by bass player and songwriter Jim Keaveny and drummer Hugh Bradley. 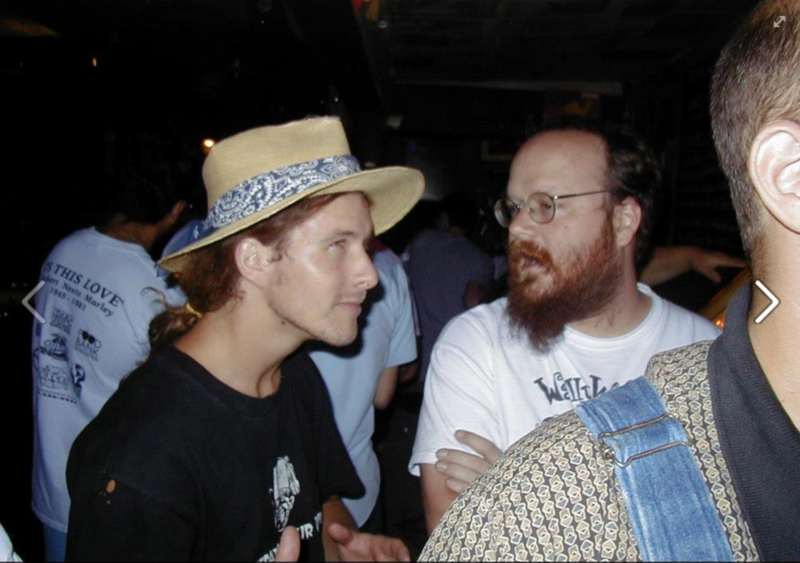 Jim worked with me (and Daron White) at Austin Homebrew Supply, and then took over brewing duties at Lovejoys. He had a great band called Three on the Tree but was game to join us on our escapades – which was great because we loved his songs. Hugh I had met through Daron as well – he had been the drummer for Faucet, who were awesome. He played loud, and we wanted to play loud, and he was a great guy. Our friend Yimay did the cover layout and art, the photo on the front was the mule tattoo on Heywood’s bicep, which had been tattooed by Jimmy Bradshaw. Horses and Asses make mules, you see. Funny story – when we were promoting the record on Aielli’s show he wouldn’t say the name of the album. hahaha. Right out of the gate we have a Jim Keaveny burner. Let’s see – I’m playing my strat, and Tim is playing the Love Rock. Great harmonies from Tim and Shelly. “It’s amazing how I cried over you/It’s amazing what a good going down will do.” I love the swamp rock feel. A little waltz ballad beginning and then a more tupelo-leaning part. Tim’s feedback in the transition made me pretty jealous. It’s so fun singing with Shelly – “till I die” sounds so lovely. Killer Ziegler solo. My guitar amp – a 1965 pro reverb at the time – had a blue power light. Jeremiah once said this song is the best example of my guitar playing. Just a little sweet over-juiced two-step. The banjo and electric guitar fit well together, I’m still shocked it doesn;t happen more (and better). I love this intro and think it sets the stage so well. Tremendous song by Tim. My guitar solo makes no sense, and then Tim’s is on point. Jeremiah did an excellent job of mixing this – most of it was recorded live – just a few overdubs, so there was a lot of exuberance and inexactitude to iron out. A Shelly song – figures that she’d beat the rest of us to writing something in 5/4, even if it just stuck on the transitions. Jim lays out until that big 2nd verse – well done! We had a few friends who were convinced that she was singing “Little Pigs Sleep” and we were fine with that. 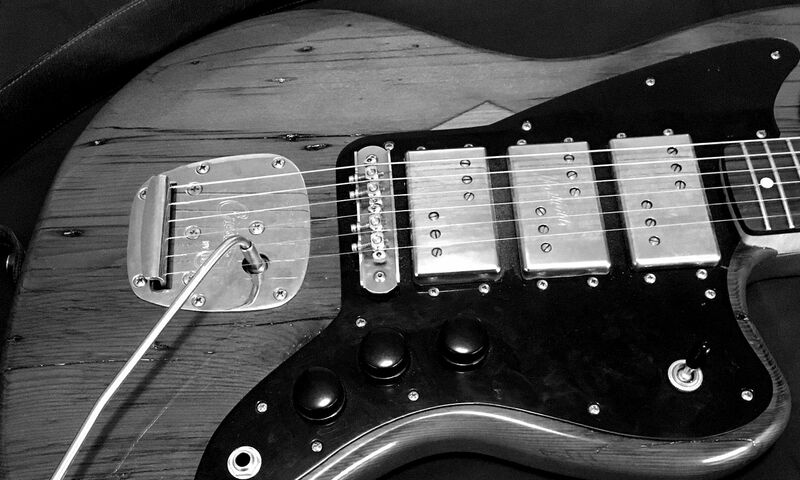 OH yeah – I dropped my guitar during the solo and still finished. Danny Barnes had recently moved into his Blood and Mood phase and I wanted to write something like that. Tim ran his banjo through his Golden Throat – so good. I think my scream in the last verse was my proudest moment, stupid as it is in retrospect. Tim wanted to go on tour, the rest of us were lame. He wrote this song calling us all bussies – to our face. We loved playing it. Just because I’m proud of this fact – there was no wah-wah – I did all of that my fingers – on a strat with .13 .17. 22. 36 .46 .56 gauges. I wonder if they still have those mixing bowls. The internet was still pretty new – many of the websites I would go to for information about our band would also talk about this band Hazeldine, and I thought that was a pretty name, so I wrote it in a song. I remember when we were plugging the record on Aielli we went in and did a nice, polite acoustic set, and he asked what track he should play from the album, and this sounded so beautiful over that FM compression. He was a bit taken aback, so we felt like we had accomplished something. I think I played Jeremiah’s SG for the rhythm part. Tim’s guitar p[laying is exceptional throughout, and I miss singing crazy long lines in lockstep with Shelly. Oh yeah – the spoken bit – it’s not bad. Key change fakey! It is a shame that this song isn’t more popular – you there – you should cover this song. BACKWARDS GUITAR SOLO ACHIEVEMENT UNLOCKED! This song is filthy – you should cover it. Oh, and Hugh is great on this – I believe it was the last song we tracked. Another Keaveny tune. Great banjo. The backing vocals from Tim and Shelly are as usual fantastic, and I had a lot of fun playing guitar on this song every time. I think we recorded another couple of Jim songs; I should dig up the masters sometime. I stole the main chord for this song from a song that Denman wrote in high school. This was fun to play and sing, and Tim shreds that old Love Rock guitar throughout. I remember Hunter playing this on the Lovejoy’s jukebox at my friend Wade’s wake, so it has a bittersweet connotation now. Another Tim song. We loved the Austin band the Damnations, and he wrote this song about the bass player, and it’s pretty much fantastic. Shelly and I ham up the mariachi harmonies on the bridge, and I love my guitar solo. You’ll see, you’ll all see. We had Shelly harmonize with herself on this one, and it sounds great. Again, Banjo, electric guitar, bass, and drums sound so good, and Keaveny shines on this track. I love playing those chromatic runs. I should write more songs where I can do that. When Chip first heard the record, he admonished me for not putting this song first. Perhaps he was right we – should’ve flown our freak flag a little higher. I am very pleased with the noisy improvisation in this track – something the Fence Cutters did very well, IMHO. That’s it – thanks for listening along – you can subscribe to my periodic email on the right nav, or read more about The Fence Cutters. Mission To Mars will be released on September 1!